I have been grooving on some MASL games lately on the league's YouTube channel. All the games that I have seen so far have had great production values and a superb standard of announcing. 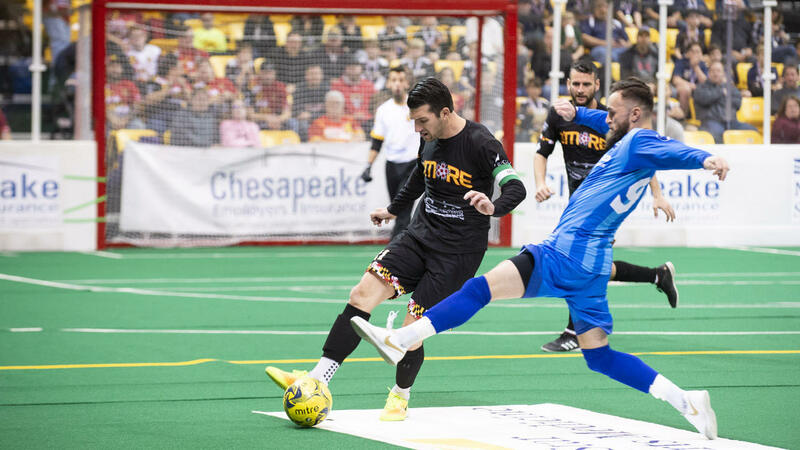 I have a great respect for the longstanding teams the Milwaukee Wave and the Baltimore Blast (despite their awful nicknames), so I watched their games. The Wave's wordmark uses the Kiss font Die Nasty, and they have a player named Max Ferdinand; so I can easily root for them. And the Blast are the three-time defending champions; so watching them was natural. But then I saw Utica City FC, who are the relocated Syracuse Silver Knights. And I was blown away. What greatly impressed me was the traditional feel and aesthetic that the team has gone for. First, the name "Utica City FC", with no American-style nickname, is wonderful. And the badge is all kinds of beautiful. The team's primary kits have alternating vertical stripes of dark blue and light blue. They also have a secondary kit of Inter-style alternating black and dark blue stripes; that's what was worn in the game I saw. Utica City's beautiful look stands out sharply against the true appalling aesthetic standard that is typically kept by the MASL's other teams. The game that I saw from a few days ago against the Baltimore Blast, from which that last picture above comes, was played in a packed arena in Utica, in front of a crowd that was largely dressed in team gear. The following photos are not from that game, but demonstrate that the phenomenon of nicely-dressed fans was not limited to that one game. The whole thing was so nice that I didn't even mind the blue turf. And, apart from the aesthetics, the game was a very good one. Out of respect for anyone who wants to enjoy a good sporting contest, I won't mention the result. You can watch it here. 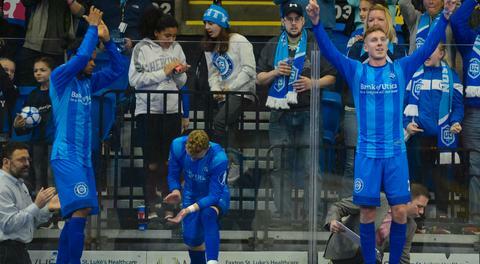 Believe it or not, I am now truly looking forward to Utica City's next match, on Sunday against Milwaukee! The Premier League is not playing this weekend; so the timing is perfect. Anyway, a remarkable job was done by whoever is responsible for the design of Utica City FC. I will be rooting for them, despite the fact that the people in that town have not heard of steamed hams. That is a reasonable guess about the city's flag. Alas, the actual flag has no blue and white cross. 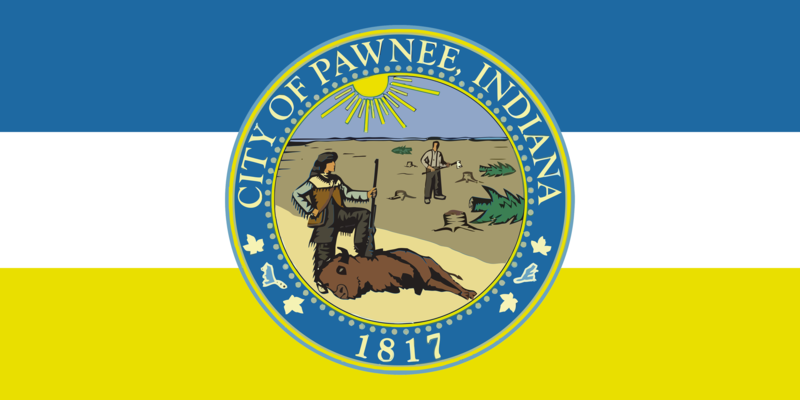 It turns out to be a rather haphazard "design" that calls to mind nothing so much as the flag of Pawnee, Indiana. I attended many Wave games as a kid, but I don't remember the turf being that bad. The blue color is one thing, but the real problem is how loose and bunchy it is. Somebody needs to stretch that sucker tight and maybe get out a staple gun. That can't be great for competition. It’s a solid identity but I have to say I’m not impressed with the Xzibit designed badge-within-a-badge they’re rocking for their crest.